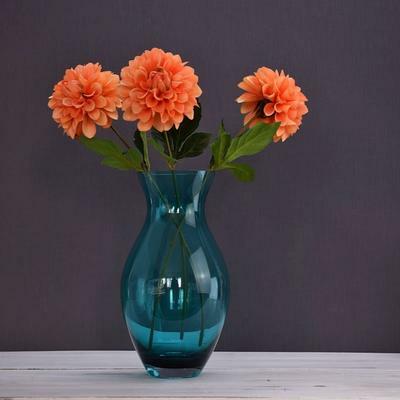 Solavia brings a stunning range of coloured glass vases for your home decor needs. 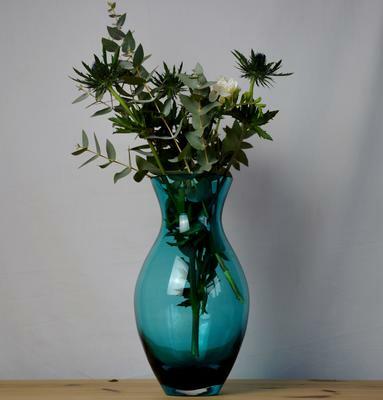 The large posy vase, in a magnificent and deluxe turquoise shade, is exquisite and elegant on the mantel or the table-top. The tinctured glass enhances the appeal of your floral arrangements manifold. The dynamic contrast betwixt the turquoise tinge of the vase and your colored blooms shall enhance the aesthetic appeal of the display. Also, apt for storing seasonal pods, vase fillers, dried botanicals, artificial blooms and sea-shells and the like, this gorgeous vase is a true compliment to your artistic taste and sensibility.